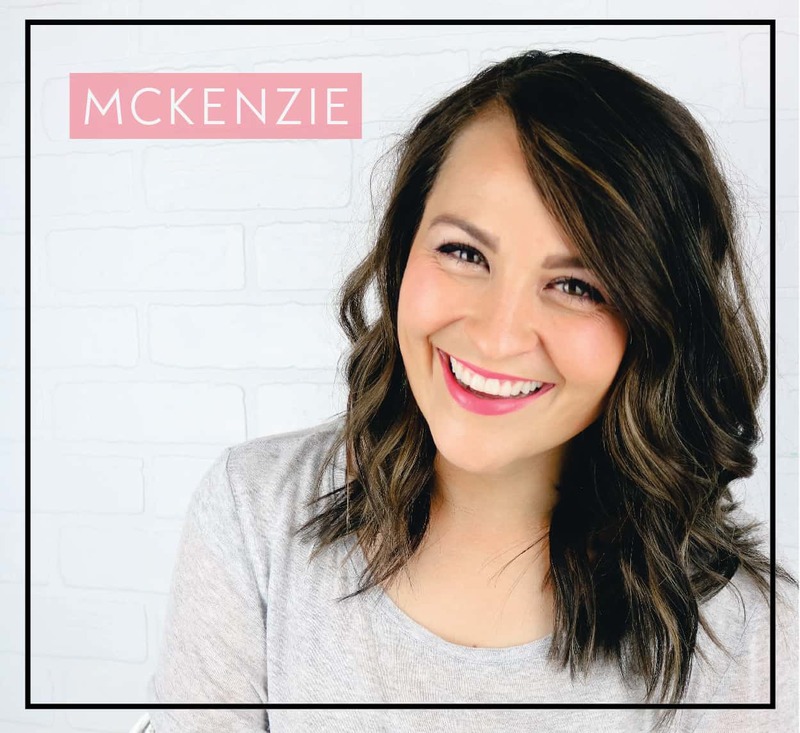 Toddlers love feeling things that have different textures and that make different sounds. They love discovering things with their senses! 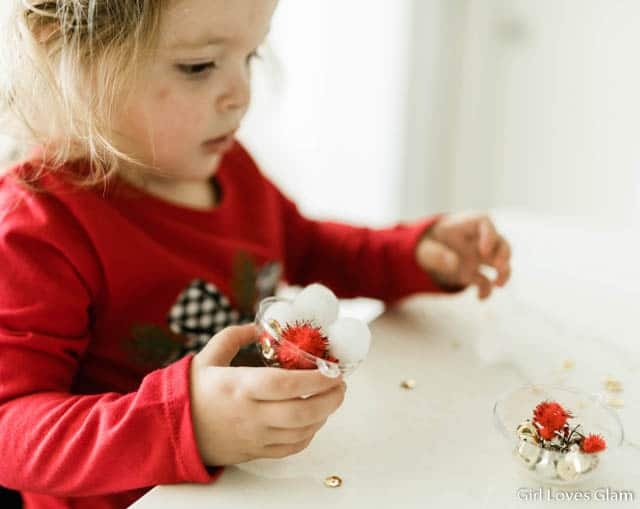 These sensory Christmas ornaments are a fun way for toddlers to be able to discover their senses, while making a treasured keepsake to hang on the Christmas tree! I wanted our ornaments to be in the colors of our Christmas decorations, so I only got items that were red, white, and gold. But you could make them any color you want. I just loved the idea of my toddler making a pretty ornament that actually looks like it goes with the rest of our decor! 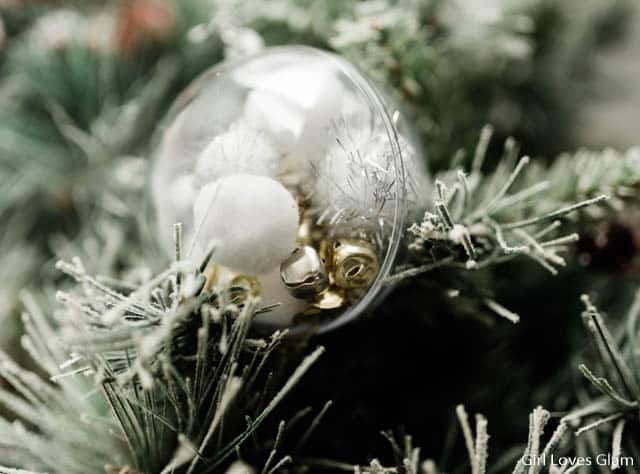 –Craft Christmas ornament that can be taken apart. You can find these at Hobby Lobby year round. 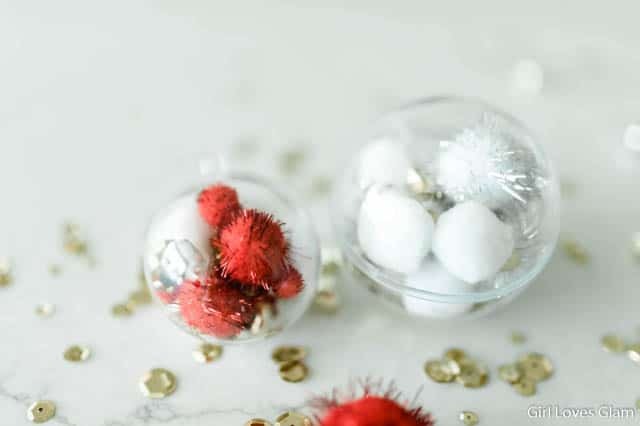 -Pom poms in various sizes, in the colors you want the ornaments to be. -Sequins in any color you want. 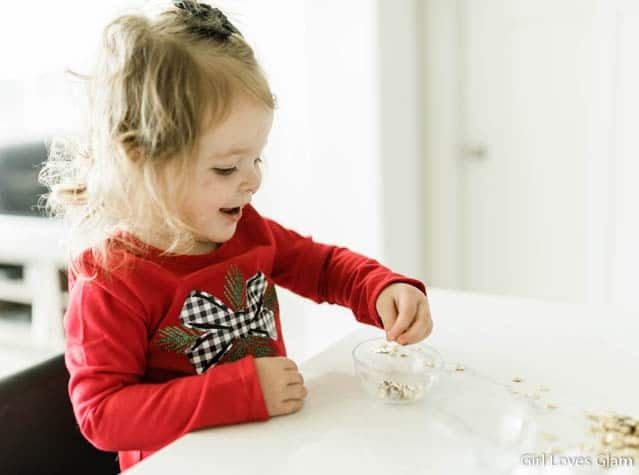 You can put each of the sensory craft supplies in a different bowl, a divided plate, or you can just lay the supplies out in front of your toddler. It is really fun to watch them discover each of the supplies that you have. They like to shake the bells, rub the pom poms, and look at how shiny the sequins is. 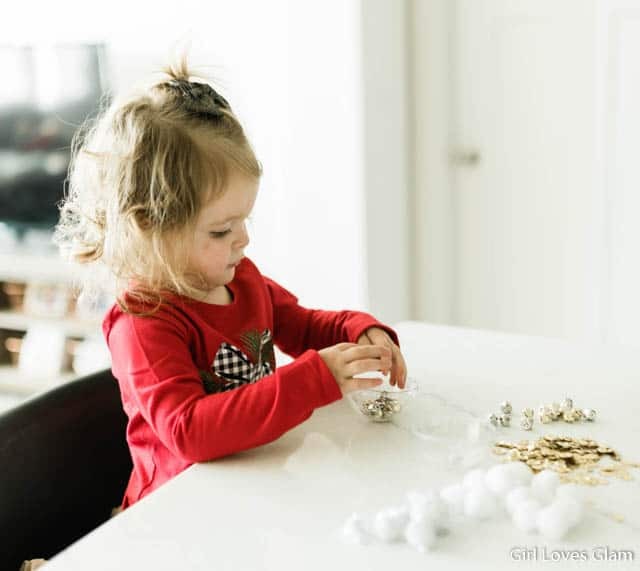 Let your toddler stuff the ornaments with whatever supplies they want! It is fun to see how each ornament is unique to the items that were catching their eye at the time. Once both halves of the Christmas ornament has been filled, pop the two sides together to see the finished product! You can shake the ornaments around a little to let them mix up a bit, too. 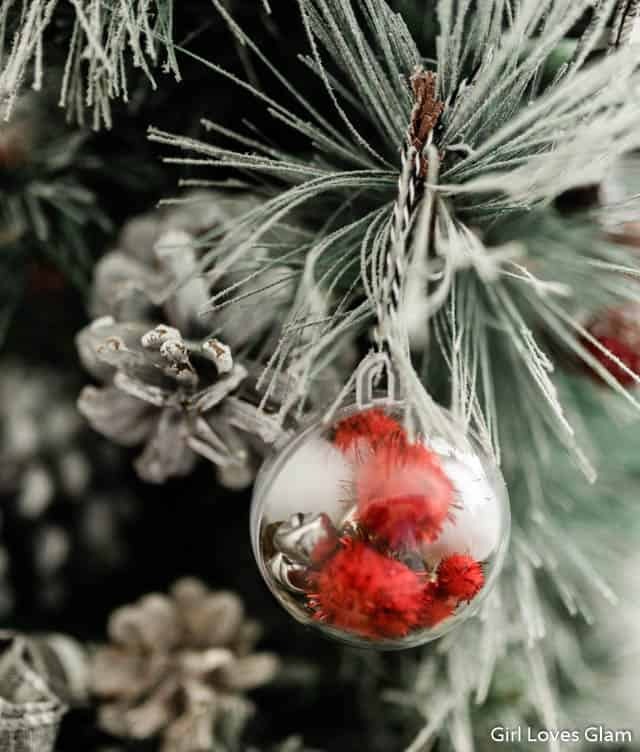 Tie some string to the Christmas ornament and hang it up! I just really love how these ornaments turned out! They are a fun way to see your toddler’s creativity and to let them discover new things. 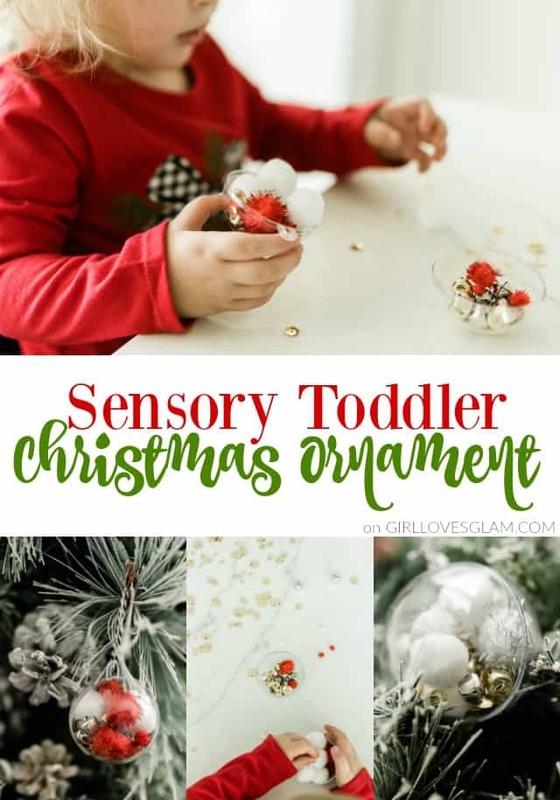 For even more fun toddler ornaments, check out this adorable Christmas tree ornament and this Christmas light fingerprint ornament. 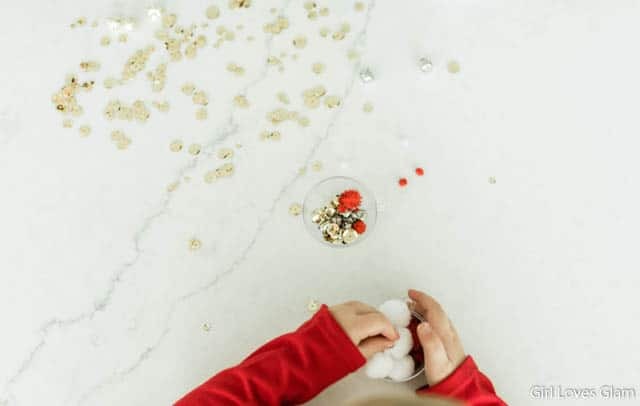 What kind of Christmas crafts do you like to do with your kids?